Your intuition is an innate sense, just like your other five senses of sight, smell, taste, touch, and hearing. Intuition works in conjunction with your other five senses in order to provide you with information that’s not obvious in the analytical, 3-dimensional, concrete, physical world. Intuition works very much with energy, an unseen force that everything is comprised of. 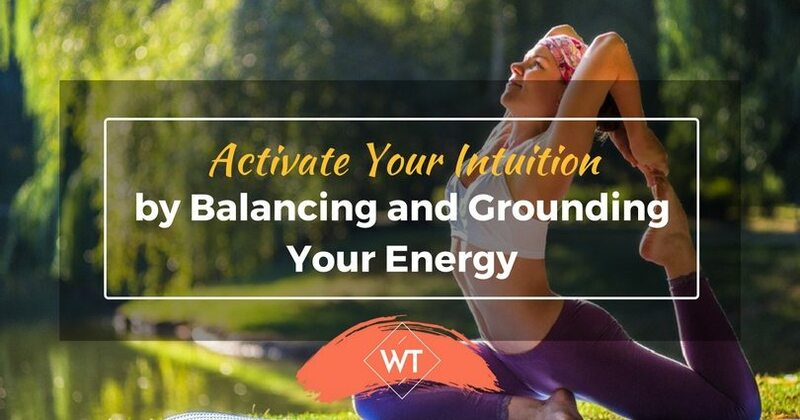 Therefore, the more balanced and grounded your energy is, the easier it will be to activate your intuition. Being balanced and grounded is not only a state of mind, it’s a complete state of being. It goes without saying that in order to be in a clear, calm, balanced and grounded state, you will need to be well-rested and well-fed, so be sure to get plenty of nice, deep sleep, and eat a nutritious, healthy, clean diet. Energy flows more fluidly when you’re hydrated, so be sure to drink plenty of water. Your body is comprised of cells, atoms, and molecules that are constantly in action. 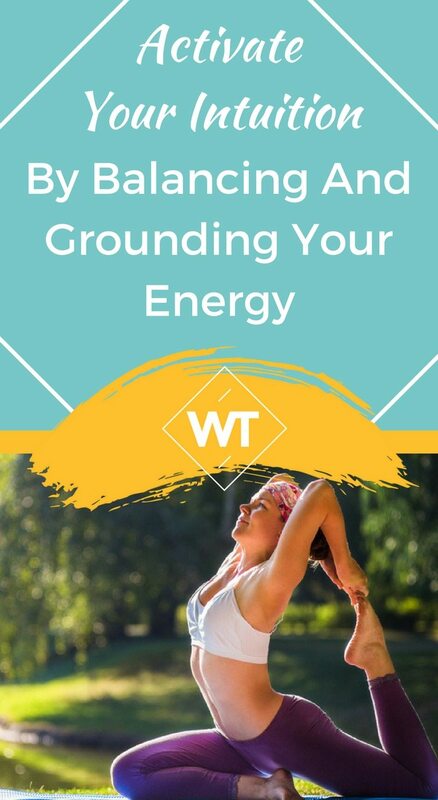 In order to stay balanced, you need to make sure your body is well cared for – and that means you absolutely must exercise. Do yoga, swim, walk, jog, cycle – whatever it is you really love to do – and your body will naturally become grounded and feel good. Your intuition is really adversely affected by dissonant energy. That means that in order to activate it, you have to avoid things that make you feel bad. Stay away from dark, angry, gossipy, negative people. Don’t watch bad news or horror shows or movies. Avoid places that are not good for your vibration; your intuition will tell you what those places are, or just notice if your energy goes up, or goes down, when you are in certain environments. We are all guests of the gracious planet earth. The energy of the earth is very healing to the human vibration, and it makes sense that too much time in loud, noisy, polluted cities can harm intuition. Try and go to nature. Sit under the trees and listen to the leaves blow in the wind. Look at the ocean, river, or lake. Notice how you feel and how your body feels when you’re away from the noise of everyday life. Spending time in nature really helps activate your intuition, as it aligns your body with healthy earth energy. The more you remind yourself you have a body, the more you’ll call your spirit home, and your spirit will help you activate your intuition, as your spirit is technically the purely energetic version of yourself – the essence of who you are. One of the easiest ways to get grounded is to focus on your feet. Stomp them, or wiggle your toes. Move your hands and fingers. Look at your feet. Look at your hands. Look into your eyes in the mirror. Put your hand over your chest and say “I am (your name).” Then do the same with your head. This will ground you instantly. Intuition doesn’t work very well when you’re in a state of fear, worry, or stress. It works best when you’re calm, centered, balanced, grounded, and in the present moment. Spend time noticing what’s going on around you; pay attention to details in the room you’re in, and notice what people are really doing and saying. This will keep you very aware and alert. Then, when you work to activate your intuition, you’ll be at a very easy place to notice it, to easily pay attention, and to act on the guidance that you receive.